What is RenewalWorks and why is it important? A lawyer approached Jesus, putting him to the test with this question: “Which is the greatest commandment?” Jesus’ response was simple, if not easy. He said it was about love of God (with all your heart and soul and mind) and love of neighbor as self. 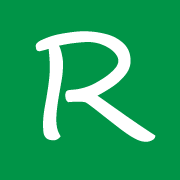 That singular emphasis on love of God and neighbor provides the foundation for RenewalWorks, a ministry in the Episcopal Church that focuses on spiritual growth by deepening love of God and neighbor in the lives of congregations, in the lives of ministries that animate those congregations, and in the lives of the individuals who bring life to those ministries. When the details of life press in, parishes, like individuals, can inadvertently move away from this singular, simple focus on discipleship to the more mundane but necessary actions of running a church: property and building upkeep, annual stewardship campaigns and recruiting volunteers. RenewalWorks is a catalyst for refocusing parishes (and the individuals in them) on spiritual vitality. It has been tailored to the Episcopal tradition, adapting 10 years of research that has uncovered key characteristics of flourishing congregations. It will inspire your congregation and leadership to rediscover who Jesus is, and what it means to follow him. Through a guided methodology of self-reflection, sharing and workshop discussion, RenewalWorks challenges parishes to refocus on spiritual growth and to identify ways that God is calling them to grow. Specific outcomes of the RenewalWorks process are unique to each parish, reflecting that community’s specific challenges and opportunities. They lead to the creation of specific congregation-wide growth initiatives which clarify and elevate expectations for clergy, lay leaders and individuals. If you are seeking a way to deepen your congregation’s relationship with God, with neighbor, with self and with the world, we invite you to explore RenewalWorks. The RenewalWorks process begins with an anonymous, confidential, online inventory (Episcopal Spiritual Life Inventory) taken by congregants, exploring that individual’s spiritual life. When the responses are viewed as a group, the inventory provides a snapshot of the spiritual vitality of the congregation. The data is supported by additional research information from more than 1,800 churches (of all denominations) and almost 500,000 congregants. Where do we feel called to go? What is the connection to Forward Movement? Forward Movement is often best known for its quarterly book of daily devotions, Forward Day by Day. The organization began in 1935, a time of anxiety and decline in the Episcopal Church, as a way to reinvigorate the church with a focus on discipleship, prayer, and scripture. RenewalWorks fits well into this mission and seeks to provide an updated methodology in support of this mission. Led by the Rev. Jay Sidebotham, RenewalWorks has been explored by many churches around the country. Watch this video of an interview Jay did with Bishop Curry where he explains more about RenewalWorks. 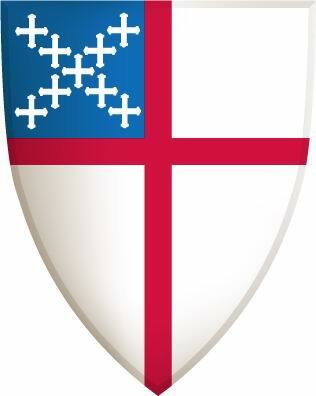 An Interview with the Reverend Jay Sidebotham from The Episcopal Diocese of NC on Vimeo. This could be a real lifesaver. The substance speaks powerfully to a deep need and longing of those of us in the pews and Jay Sidebotham’s experience, passion and wisdom make him the perfect person to launch and lead this effort. The partnership with Forward Movement, under the creative leadership of Scott Gunn, will help this important work move forward. I couldn’t be more excited. Several years ago I listened as a lay person spoke of returning to the Episcopal Church after several years in an evangelical church. She said “Episcopalians, there’s more!” What she meant is that she had found that there was more to be learned about being a follower of Jesus than she had previously known. Her hope was that “the more” could be offered in the tradition and language she loved. This is what Jay Sidebotham and his colleagues are offering the Episcopal Church through this new endeavor. It is “intentional discipleship” that can lead to changed lives, renewed parishes and compassionate outreach. The RenewalWorks program is an innovative and effective means for the spiritual growth of parishioners, at little financial cost to the parish. Focusing on the concepts of “less is more” and that every thing one does in a church community is ministry ( e.g. from the greeters, ushers and alter guild to those setting up tables and chairs for church events), the program provides a life changing experience for the members of the parish as they grow spiritually and make their lives Christ centered. Our RenewalWorks team (now renamed “Spiritual Life Team” ) has actually become a small group ministry in our church and we are putting together our second retreat which will include ways of helping congregation members assess where they are in their spiritual journey. Here are some initial thoughts on how I see RenewalWorks as being vital to congregational development: A church grows in membership (and retains that growth) only if the members are also growing spiritually. Conversely, spiritual growth of congregation members can and should lead to numerical growth, but that doesn’t happen automatically. There are far too many congregations with deeply “pious” members who remain focused inward. That is where a program like RenewalWorks can be so important to both aspects of church growth. 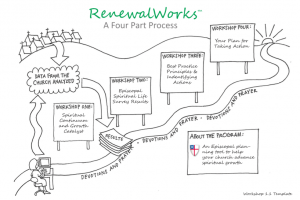 RenewalWorks not only provides ways in which congregations can assess “where” members are in their spiritual journeys, the program can help congregations put programs and opportunities in place to foster and deepen the spiritual lives of members. Then as more and more members move toward “Christ Centered” lives, they will begin to invite others to join in their parish life and ministries and that will lead to numerical church growth. -The Rev. Meredith Potter, Deacon, St. Gregory’s Episcopal Church, Deerfield, Illinois, Former Professor of Congregational Development at Seabury Western Theological Seminary. St. Gregory’s Episcopal Church in Deerfield, Illinois, has benefitted greatly from our experience as participants in the Diocese of Chicago’s first pilot program for what is now called Renewal Works. As part of our strategy to “Embed the Bible,” we regularly use dialog sermons for which the members of the congregation set the agenda, resulting in three very different dialogs for each of our three services. We also incorporate a minute of silence after every sermon. Spiritual Growth is now a topic at every Vestry meeting, and we have held our first ever Spiritual Growth Parish Retreat. In short, RenewalWorks! In anxious times people look for a “quick fix” and the Renewal Works process is not a quick fix! This is not “a one size fits all” boxed program. It is, however, a process for measuring the spiritual vitality of a community and discerning a unique, local way forward. After a year of RenewalWorks at Saint John’s there are discernible signs of individual growth among us. 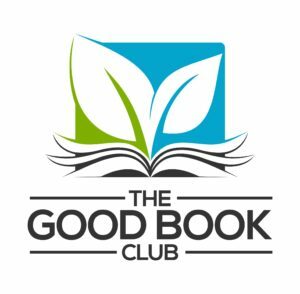 The survey has me brooding and thinking about what service means to us at our church – the spiritual work gave me the tools to think it through and one day I was reading a daily devotional book by Henri Nouwen, and on July 20 there it was. Its entitled “who is my neighbor” and Nouwen talked about the Samaritan who crossed the road to take care of the poor man. The key is crossing the road and now I am thinking about what it means for individuals here at our church to cross the road to meet our neighbor. Service is not a passive thing, you have to walk across the street and meet someone who is suffering and who you might not understand. The focus on spiritual growth helped me do that. Participation in RenewalWorks has helped me become more intentional about spending time with God, in prayer and through other spiritual practices, and has enhanced my awareness of God in all things. This time with God has made for a deeper and more conscious spiritual life, and has kept me grounded through the challenges present in parish ministry and personal life. Spiritual Renewal has also helped our congregation get clear about its identity as the body of Christ distinct from, yet in relationship with, other caring entities in the larger community. By engaging in Spiritual Renewal, we see ourselves more fully as agents reconciling others to God through Christ.